Home / Blog / What Shoud I Do When The Washer Does Not Drain? The average washing machine will keep on functioning with little help from the homeowner. All it takes is a little bit of basic maintenance to make sure your washer functions for years. Maintenance like keeping the lid open to let the drum air out and making sure you run a washing machine cleaning cycle once a month to reduce the amount of build-up in the machine. But sometimes a washing machine stops working properly or only does half the job. For example, perhaps your washing machine still cleans clothes well, but doesn’t drain anymore. A washing machine that doesn’t drain is useless because leaving clothing sit in water and hand wringing them out so they can be dried is not an option. A washer that stops draining is a common problem with this type of appliance. It is normally caused by two problems, a pump failure or an obstructed drain. The first step to take when you’ve discovered your washing machine no longer drains is to get the water out of the washing machine. You don’t want stagnant water sitting there for an extended period of time. It will begin to smell. Plus having parts of your washing machine sit for in water without giving it a chance to dry out is going to start rusting or otherwise damaging the parts. The second step you’ll want to take when you washer is not draining is to repair the problem that is stopping your washing machine from draining. The process for these two steps in the same. To begin dealing with the problem of a washing machine that doesn’t drain, you’ll first need to unplug the unit, from an electrical source. This is for your safety, so you don’t end up accidentally giving yourself a shock or electrocuting yourself. Getting the water out of the washing machine is your next step. Start by using a bucket to remove any standing water. If the washer has a drain tube, this can be used to drain it. This process will be slow since the tube is so small and you’ll be depending on gravity. Sometimes, raising one side of the washer will make the process of draining, go faster. If the water isn’t draining through the hose, check for and remove debris. Clamp the bottom of the hose and remove the front panel of the washing machine. Check the main drain hose for any debris like hair or small pieces of fabric. Do the same with the pump. Since the housing to the pump is usually translucent, you’ll be able to see an obstruction right away if there is one. Remove it. 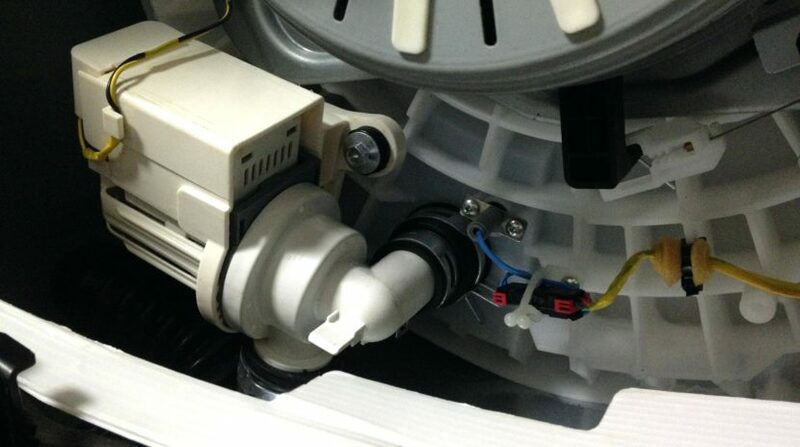 If both the pump and the drain tubes are clean, you’ll need to look at the outlet where the hose is connected to the bottom of the washing machine. Look for any debris and then remove it. If there is no debris in the hoses or pump of your washing machine, then this could be indicator that the pump needs to be replaced. 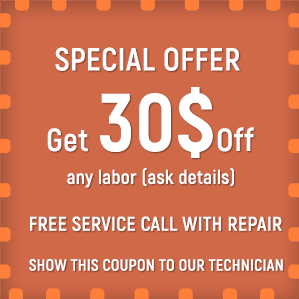 You may need to hire a appliance repair professional in San Diego County to find out why your washer isn’t draining.